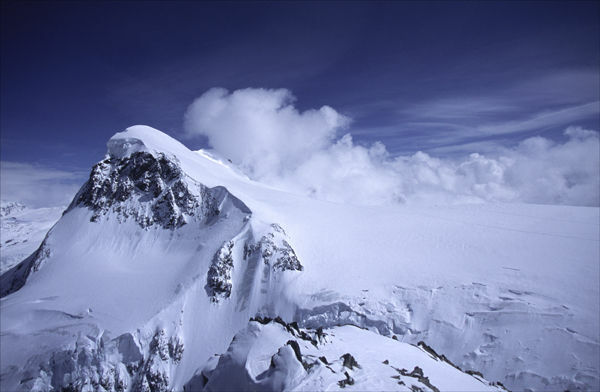 Ron and Maggie Tear Photography: Breithorn, Swiss Alps. The Kliene Matterhorn is one of the hightest cable cars in Europe. Arriving at the summit at 13,000 ft required slight alttitude adjustment. The view was outstanding. France towards Mont Blanc and Italy clearly visible. The Breithorn was majestic, snow covered and climbers on it's flanks. A day not to forget.